This Autumn Hayate no Gotoku will return with a new anime. Rather than a continuation of the previously seasons, this series will be independent and written by author, Kenjiro Hata. Hayate Ayasaki, an unlucky teenager who has worked since childhood to make ends meet due to his parent's irresponsible behaviour. One day on Christmas Eve, he finds out that his parents were planning to sell his organs to the Yakuza to make money, leaving behind s massive gambling debt on his shoulder. While running away from the debt collectors he ends up meeting Nagi Sanzenin, a young girl who is the sole heir of the wealthy Sanzenin estate, and due to a misunderstanding, Nagi ends up falling in love with Hayate. 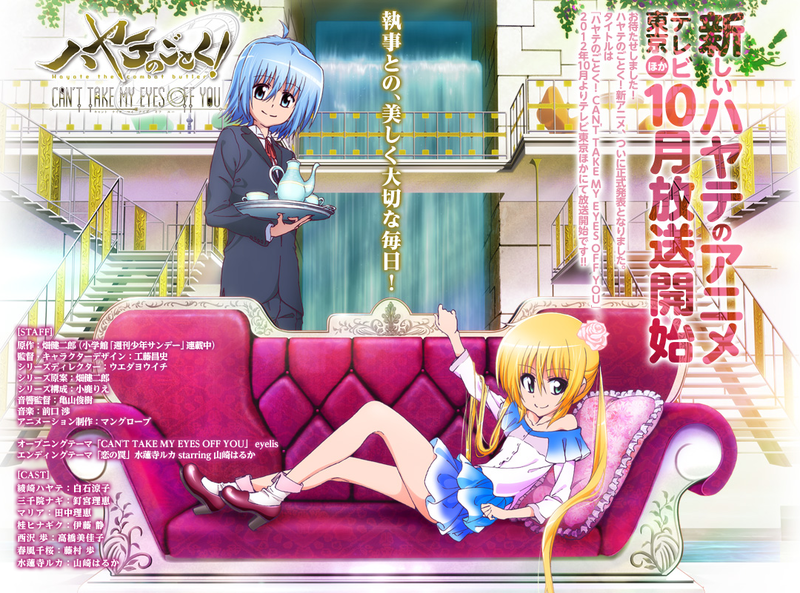 After he rescues Nagi from some kidnappers, she hires Hayate as her new butler.